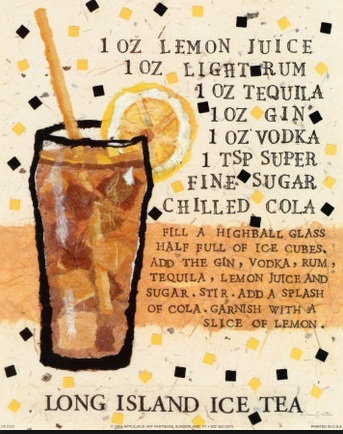 Yet another drink I enjoy is the "Long Island Iced Tea" . Was introduced to this by a friend at TGIF, Bangalore. It so happened that the time we landed there was Happy Hours, and so we each got 2 drinks for the price of 1. 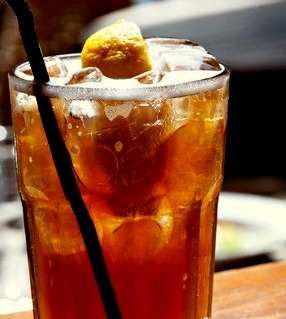 I quite enjoyed the Long Island Iced Tea but it was a huge glass, and we spent nearly 4-6 hours there- talking, catching up,eating, drinking, trying to finish 1 drink before moving on to another.. I recall she ordered something different, equally big and heavy.. 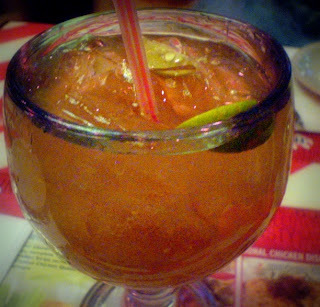 It was fun..
From the 1st sip, I was curious what the drink had. 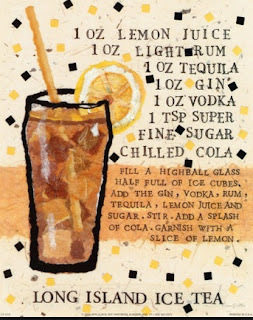 And i managed to dig out this image I have saved on my Hard drive on how the Long Island Iced tea is made.. ;o) There is another drink called Long Island Beach Tea, but the ingredient[s] are tad different and I dint really like the taste of it.